Porosity measures how easily the hair’s cuticle absorbs water, products or chemicals. Factors that influence porosity can be hereditary – curly hair is more porous than straight hair, for example. There are also environmental factors that influence porosity, such as how often you use a chemical agent to color or straighten your locks. Low porosity hair has a tightly-bound cuticle that does not easily absorb foreign materials. An advantage to low porosity hair is that it is usually glossy, particularly if the hair is dark. Low porosity hair is also known to be strong and healthy. 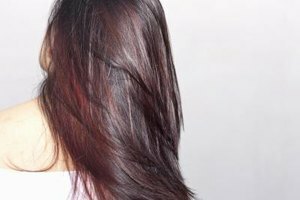 A disadvantage of low porosity hair is that it is difficult to process – the hair’s shaft is not as receptive to hair dyes and straightening chemicals, for example. If low porosity becomes dry or damaged for any reason, it will be more difficult for it to absorb deep conditioning products. Highly porous hair is a result of chemical damage from coloring, straightening and perms. Hair of this type absorbs much more water than hair of average porosity – up to over 50 percent of water by weight. This can be beneficial for absorption of conditioning products, but it also has disadvantages. Hair with high porosity easily takes in water from the atmosphere, which can lead to excessive frizziness, especially on humid days. Medium porosity is the ideal. Right in the middle of the porosity spectrum, this hair is neither too absorbent nor too repellant. This hair requires the least amount of maintenance to look good. 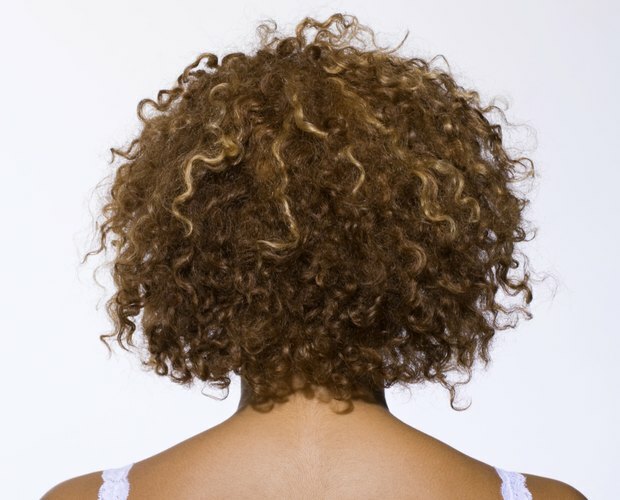 Medium porosity is defined as hair that is able to hold approximately 30 percent of water by weight. This type of hair can still be damaged, and its porosity affected, by chemical processing and damaging environmental factors. Certain types of hair are naturally more porous than other types. 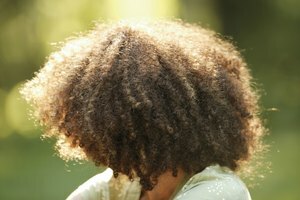 Curly hair has more porosity than straight hair. This is because the shaft of the hair winds around, leading to more breaks in the cuticle. 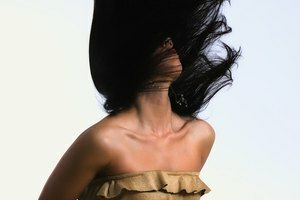 Environmental factors leading to more highly absorbent hair include damage from chemical processing, exposure to UV rays, and heat damage from styling tools such as dryers and straighteners.